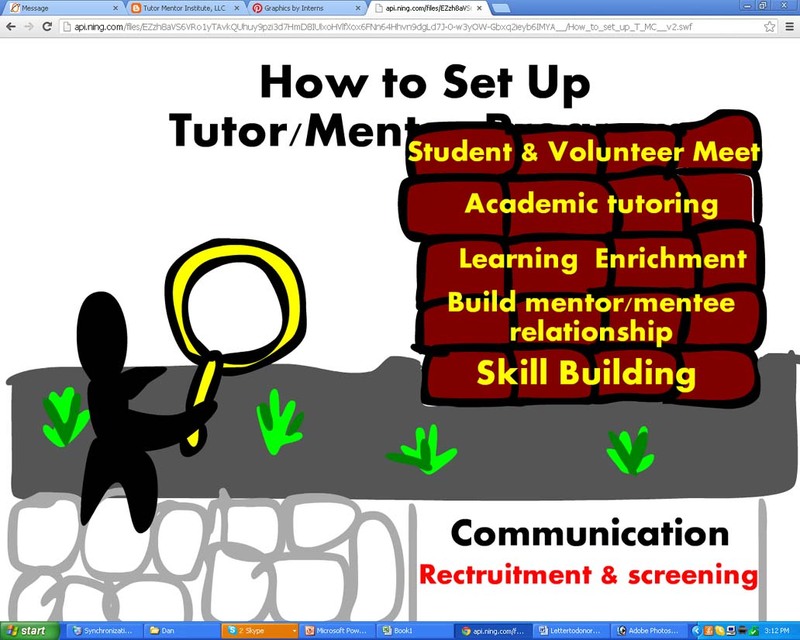 These videos demonstrate how students in high school and college can create and share information that expands the network of adults helping tutor/mentor programs reach young people. View videos on YouTube video list. More on this YouTube channel. "We Will Be Hope" intern from IIT and Korea, created this video to support volunteer recruitment. Minsub Lee, a 2011 intern from IIT and Korea, created this video to support volunteer recruitment. Video demonstrating role athletes could take. Student Video created at Cabrini Connections, circa 2010. Redesign this Page. Remake older videos. Become a Producer. Add your corporate or personal name to this page and help us create the web design, graphics, and other features that will inspire more people to share their ideas and more people to apply these ideas in helping tutor/mentor programs grow. (Visit this page to make a contribution to support this work.